NBC Nightly News Reverse Mortgage Coverage: What Can We Expect? NBC Nightly News has been working on a segment covering reverse mortgages, to air next week, industry sources have confirmed with RMD. 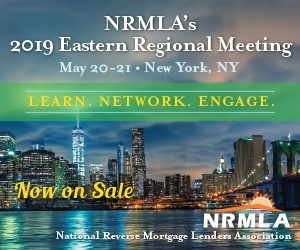 While it is not yet known the angle of the segment, RMD has been told NBC reporters have interviewed at least one lender with a high-profile spokesman as well as National Reverse Mortgage Lenders Association President and CEO Peter Bell. The sources say reporters have asked about past incidents that could prompt a negative spin. A recent National Public Radio show devoted roughly 20 minutes to the topic of reverse mortgages and I have to wonder, why all the recent press? The NPR segment featured New View Advisors’ Michael McCully as an industry expert along with input from a representative from the Center for Responsible Lending and AARP’s legal counsel, Jean Constantine-Davis. With a current lawsuit in process filed by AARP against Wells Fargo and Fannie Mae, could AARP be pitching stories to major news outlets as it builds its case? It certainly wouldn’t hurt to reach a wide audience of borrowers. When asked if an AARP’s Constantine-Davis would appear an an upcoming NBC segment, an AARP spokesman told RMD he did not have any knowledge of the her participation. Is it possible that two major national news outlets are covering reverse mortgages purely out of coincidence? Or could AARP be pushing press in an effort to gain members of its class in the lawsuit? Sources who have been interviewed by NBC told RMD the segment is scheduled to air this week. A request for confirmation from NBC was not returned as of press time.